Being a teacher is no easy task, so it’s always nice when one of them gets special recognition for all of their time and effort so what better strategy to achieve this than with the help of a custom name tag? Tutors require name tags also! 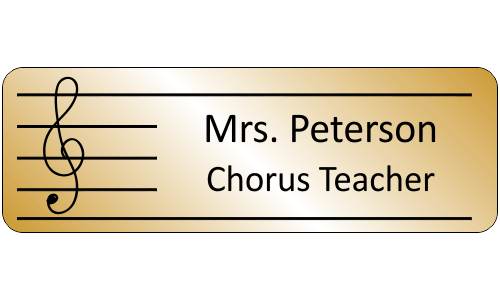 Thanks to the endeavors of the Name Tag Wizard, we are pleased to offer custom name tags for educators too. From daycare providers, to elementary schools, we have a ton of options to make sure your staff is happy! Being a teacher is no easy task, so it’s always nice when one of them gets special recognition for all of their time and effort so what better strategy to achieve this than with the help of a custom name tag? Come open house, parents will likely be relieved when they see that that don't need to worry about remembering a name when they see your name tag displayed with pride! We provide a variety of trendy designs, with more coming soon!